Japan's Bravest is a Set in Nioh. Reward: Main Mission: "Sekigahara" in the Sekigahara Region. The set is called Armour of the Exceptional, which is the set worn by Shima Sakon. Can drop from Revenants of players who died with the equipment equipped. Drop: Randomly from enemies, chests and corpse loot. 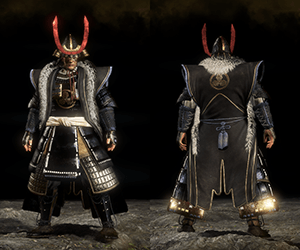 Heavy Armor set, even with 40 Stamina you will still be above 70% equipment weight meaning your Agility will be stuck at C rank. Slows down Ki regeneration and lowers dodge invincibility frames and slows movement as well.